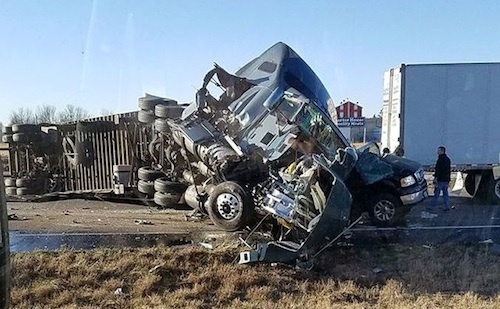 A tragic chain reaction crash took the life of a 43-year-old man from Rolla, MO and landed a semi-truck driver in jail facing charges of involuntary manslaughter. The crash occurred on Thursday morning shortly after 8 am on I-44 near the Missouri 125 interchange in Strafford. Westbound traffic had slowed to a crawl due to a few prior non-fatal accidents involving motorists. 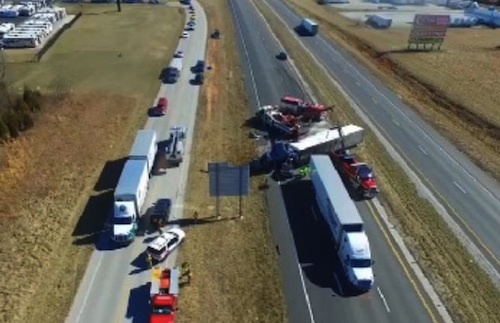 According to the Missouri State Highway Patrol, 44-year-old Narinder Singh was driving a semi-truck in the right lane and didn’t see the slowed traffic in front of him until it was too late. He tried swerving into the left lane to avoid hitting another semi-truck that was in front of him in the right lane. However, Singh’s semi hit the second semi-truck and then he lost control and began to overturn. His truck proceeded to hit the median guard cable and then crash into a pickup truck driven by a man from Waynesville. The pickup truck had been stopped in the right lane but the impact of the semi-truck sent it flying off the right side of the highway, across the grass median, and it landed up on the north outer road. Then Singh’s semi hit a second pickup truck, driven by 43-year-old David Lambeth of Rolla, who had been stopped in the left lane. The impact of the semi knocked Lambeth’s pickup under the rear of a third semi-truck, driven by a man from Oregon. Tragically, the force of the impact killed Lambeth and he was pronounced dead at the scene. A man and his son in the first pickup truck suffered minor injuries. All drivers involved in the incident were tested for alcohol impairment and everyone was cleared. However, police arrested Singh on suspicion of involuntary manslaughter and he was booked into the Greene County jail. He was placed on a 24-hour hold while authorities continued to investigate the crash and interview witnesses. 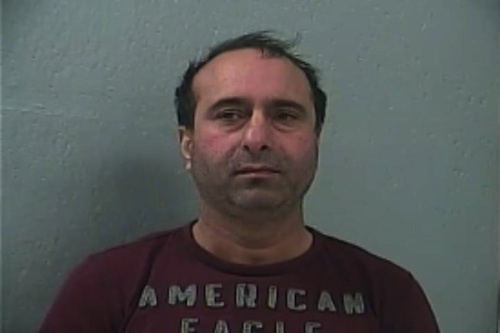 On Friday, a probable cause statement submitted by the investigating Missouri State Highway Patrol trooper reported Singh has a driving history with traffic convictions that include leaving the scene of a crash, six speeding charges, two for failing to obey traffic signs, defective equipment, failure to appear and driving while suspended. The probable cause statement also indicated Singh was driving west on I-44 and would of seen signs east of Strafford warning drivers of the previous crashes. Emergency response trucks were also placed along the road to warn and slow down drivers. Singh had told investigators that a truck had cut him off, which prevented him from slowing down and caused the crash. But according to the trooper’s report several witnesses saw the crash, and not one person saw a truck cut him off. The trooper concluded Singh's speed, inattention to advance message boards, warning signs and MoDOT trucks, caused this crash to occur and result in Lambeth’s death. He is charged with first-degree involuntary manslaughter. How did he get a job driving a truck , they didnt do a background check. That's what happens when you give foreign FUCKs license. More than likely doesn't read English ! They let people take the CDL test in their chosen language ! Or with an interpreter ! How is this man not in jail for all the prior violations. He should not get bail and he should go to prison. None of those other charges would have been anything other then money issues. So why should he be in jail for them? Surjit Sabhi Khakh, I'm not! Up until recently I would say that most drivers were American born but I can't say that for sure anymore! I work in a warehouse, usually the only "American" drivers we get in are the companies based out of our town or fairly close to our town. The rest that pick up are foreign, a lot of times when they come in to pick up, they have to call their dispatcher to talk to us then we hand it back and their dispatcher let's them know what we want them to do. And most likely can not read English! And then people wonder why we have the reputation we do...wow. I only have a reputation of my making, I don't let anyone have a say in my reputation! I don't know why you would! Please explain? Probably don't speak English, or read English!? Get this man off the road permanently!! !